Jirokichi the Rat is Japan's Robin Hood. Joseph Sinclair wrote the following text for the BBC in March 2003. "Japan has its very own Robin Hood character who is thought to have stolen from the rich to give to the poor. His name was Jirokichi the Rat, alias Nezumi-Kozo, which translates into English as "The Kid Rat". He lived in Edo, now Tokyo, at the beginning of the 19th century, some 500 years after Robin Hood is thought to have been stalking the forests of Sherwood. By day Nezumi-Kozo was a common labourer and a part-time volunteer in the local fire brigade. But he lived a mysterious double life. By night he was Japans most prolific thief, carrying out daring robberies from the estates of Tokyo's feudal lords and their samurai warriors. There is some debate over the origins of his nickname. Some say he was a small man with rat-like features. Others say he broke into the wealthy estates through the roof, creeping through the attic like a rat and dropping down into the house at night undetected. But perhaps the best explanation of his name is that he always carried a bag of rats with him. When he entered the wealthy mansions he would let the rats loose, deceiving any wakened sleepers that they were just hearing the sound of scurrying rats. In 1832, at the age of 36, Nezumi-Kozo was caught by a passing police officer as he left the scene of another crime. 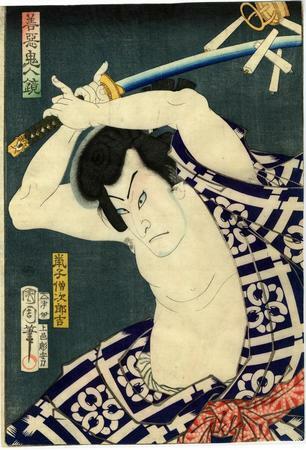 Ten years earlier he had been caught, tattooed with a stripe across his arm and banished from Edo. There were no second chances. He was bound to a horse, paraded before a large crowd and then beheaded. His head was then displayed on a stake throughout the city. Before his death he admitted to the burglary of almost 100 samurai estates. At a time when one ryo could support an ordinary family for a year and the theft of 10 ryo could earn the death sentence, Nezumi-Kozo claimed that over a period of 15 years he had stolen in excess of 30,000 ryo. Nezumi-Kozo had become a legend in his own lifetime, immensely popular with everyday people who were stuck at the bottom of a rigid and oppressive hierarchy. They were delighted to see their despotic feudal overlords humiliated by the daring thief. In fact, many of the thefts went unreported because it was an embarrassment for the samurai and their poor security. Popular stories of Nezumi-Kozo spread amongst the people. It came to be believed that he was a master of ninjutsu  the art of making oneself invisible  and that he shared his bounty with the poor. Some historians suggest that these were just popular myths, that in fact he lavished his money on women and gambling. 1868 brought political revolution and the downfall of the feudal government. Nezumi-Kozo`s life has since been celebrated in kabuki-plays, folk songs, short stories and films. He remains a symbol of the small man`s victory over his oppressors - much like Nottinghamshire's Robin Hood. We know of at least 39 different prints in this series.